A place for those associated with CRI to discuss and post thoughts, ideas, and experiences relating to life at the Institute. Than all the sages can." "After you have exhausted what there is in business, politics, conviviality, and so on— have found that none of these finally satisfy, or permanently wear— what remains? Nature remains." 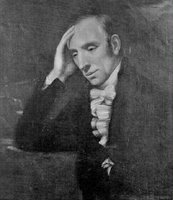 Two quotes from Wordsworth to remind us of Nature, to help us pause in our ordinary pursuits and recall the deep and lasting value it offers. It's far too easy, unfortunately, to forget this value as we strive to build, to complete, to acquire and consume.